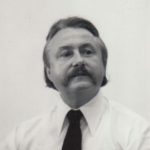 Bohdan Borzemsky, born in Kolomyia, Ukraine has been recognized for his artistic talent and achievements for over five decades. He studied art at one of the best known European art schools, The Lviv National Institute of Art in Ukraine, and later studied oil painting, drawing and graphic design at The Cooper Union Art School in New York, where he studied under Edwin Dickinson and Robert Quathmey, receiving the prestigious Graduation Prize in 1951. Mr. Borzemsky has since won two Cooper Union Alumni Association Awards for the highest achievement in graphic art. He has also been recognized by the Library of Congress. Mr. Borzemsky is a master in the technique of woodcuts. Recently, through experimentation, he invented his own individual technique that he calls papercuts, substituting heavy paper for wood. Mr. Borzemsky’s source of inspiration is his childhood fascination and inspiration by the Hutsul region (Hutsulshchyna) and it’s inhabitants – mountaineers unique in all aspects of their hard down-to-earth life. Their folk art in particular left a decisive influence on his creativeness in art. Mr. Borzemsky’s artistic credo is that “there are several factors that come into play for the successful completion of an art composition, among them inspiration, determination, inner peace, joy and sensitivity to the beauty of nature and her Creator”. The artist conceives of art “as a divine gift to humanity for fostering spiritual balance, clarity, and brotherhood”. – Potsdam Prints, Potsdam, New York.